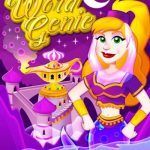 WordPuzzle is a word puzzle game for Android by MetaFun Games. 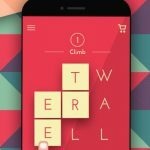 But how does it differ from all those other games that allow you to pick words from a grid puzzle, swiping your finger to connect the letters and form the words? Not that much, on the outset, as that’s exactly what you need to do in this game. You can choose from dozens of different categories, and solve more than a thousand puzzles, with the game getting updated regularly with new ones. You’ve also got a free daily puzzle “for fun,” as well as the option to use hints if you’re stuck on a certain word. But why use hints when you can get the answers right up front and easy, with no hassle whatsoever? 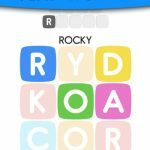 We’re all about helping word and trivia game players get the easy answers they need, so read on and refer to our WordPuzzle answers and solutions each time you’re having some difficulty with the Vegetable, Fruit, and Tree categories. But we would also like to suggest, as we always do, not to read this answer key from start to finish. This is a brain teaser game, and you certainly won’t be teasing your brain by feeding it all the answers. Yam, nut, pea, beet, okra, kale, taro, leaf, corn, spud. Dill, bean, leek, anise, chive, tuber, jojoba, endive, sorrel, sprout. Lovage, fennel, salsify, romaine, atemoya, comfrey, caraway, haricot, rhubarb, truffele. Agarics, rampion, ccucumber, celeriac, kohlrabi, angelica, pokeweed, broccoli, rutabaga, scallion. Beetroot, arrowroot, carambola, groundnut, radicchio, sapodilla, aubergine, artichoke, dandelion, courgette. Succotash, tomatillo, begetable, persimmon, asparagus, watercress, jaboticaba, cauliflower, horseradish, sarsaparilla. Turnip garlic, alfalfa salsa, brinjal, gourd, peanut, peapod, pumpkin basil, celtuce, orach, burdock maize, edible ginseng, cabbage pepper, collard radish. Celery parsnip, garbanzo laver, smallage, cress, cardoon lentil , lettuce pickle, mushroom onion, amaranth olive, zucchini pecan, sea grape caper, daikon parsley. Spinach potato, arugula carrot, paprika citron, pimiento glove, shallot tomato, cilantro chard. Pit, haw, fig, pear, skin, ripe, tart, peel, pulp, duke. Plum, lime, date, kiwi, melon, bryony, raisin, walnut, pomelo, ginkgo.